I made a decision coming into this year to do more Cthulhu blogging - I've long been an admirer of Call of Cthulhu and Trail of Cthulhu, I try to run some one-shots each year or so, and there really doesn't seem to be a lot of blogging about those games - it's a fraction of the coverage that D&D gets. That's quite a bit of overlap in the readership between the two types of games! 91% either play, have played, or are at least interested in the horror gaming; I'll just assume you 9%ers aren't interested YET. I tend to agree there's a lot of overlap; many of the adventure ideas are directly portable from horror gaming into fantasy, and if you go for Weird Fantasy (especially LOTFP style), the horror gaming is like a close cousin. Cthulhu gaming can be a bit bleak, so maybe it's an acquired taste playing ordinary or mundane folks trying to stop occult horrors, when compared to the accessible power fantasy gaming experienced in the beloved D&D. On the other hand, pulp fantasists like Clark Ashton Smith and RE Howard put Lovecraftian horrors in plenty of their fantasy stories, too, so the chocolate and peanut butter gets mixed up in the source literature. That raises an important question - how do you like to use the Cthulhu Mythos in your games? As monsters in a fantasy setting, or alien terrors in a horror game? I have added a new poll to catalog the results of this important question! The world must know. I'll keep up with the weekly Cthulhu posts and occasional reviews, mixing chocolate in the peanut butter and vice versa. It keeps things interesting for me. Bon appétit! I love that painting, and I wish Chaosium sold it as a print, as it would be getting pride of place in my living room! I guess I'd continue with your chocolate peanut butter analogy by stating that I use them as Alien Terrors in a Heroic Fantasy setting. My players are getting ready to uncover manifold layers of political angst, religious strife, and cosmic horror. They are in a somewhat typical fantasy "borderlands/wilderlands" with much political struggle between nation state/geopolical entities vying for control of a monster studded wilderness were old preexisting religions are confronted by new expansionists beliefs. Throw in some twisted cultists that are using eugenics to try and create a servitor race for their transhumanistic experiments to ultimately call in Cthuloid entities and you have the gist of my campaign. It is heroic vice horror in that instead of a bleak, hopeless struggle against entities that ultimately pose the doom of man, they (the players) can impact the course of events in any of these realms as they progress through the campaign. Was that painting used on the 5th ed.? I thought that one was last used on the 4th ed. Well. Since everyone started using these damned "dot five" releases everything is falling apart. 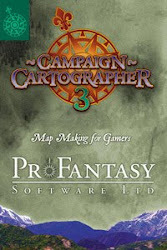 It was used for the first half of the fifth edition; when the game got to 5.5, they switched it to the blue cover that is also used for the sixth edition. Like Johnathan, I am getting ready to use them as alien terrors in an heroic fantasy pulp setting. Something like Clark Ashton Smith's Hyperborean stories or Richard Tierney's Simon of Gitta. Hooray! I actually have input this time even though I don't run D&D or CoC! The ship's crew in my Savage Worlds pirates game recently encountered some Deep Ones and a tribe of cannibals with the Innsmouth taint. I'm taking REH as my inspiration. I was recently inspired by the idea of a King Arthur versus Cthulhu campaign - somehow I stumbled across a description of the Questing Beast and it reminded me of a Chtuhoid horror, and then I remembered Erol Otus' Yog-Sothhoth in 1e AD&D D&DG, and my mind was off to the races. Merlin and Morgan as arcanists with Mythos texts. Picts as Mythos cultists in dark forests full of horrors. A creeping madness striking at the heart of the knights of the Round Table. I know I'll never actually do anything with this, but it still sounds like fun. This is a difficult one for me to answer. By and large I'd probably say that I use them more often as alien terrors, since I haven't gotten much chance to use them in D&D yet. However, a bunch of my setting ideas rely on using them as monsters, so I dunno. A friend of mine worked, briefly, at Chaosium, and he gave me copies of nearly every CoC book, but also some nicely produced fanzines as well. While I certainly enjoyed reading through them, I noticed that the game works pretty much on a 'railroad" model - and not a hex crawl, or sandbox model. This, I admit, turns, me off. 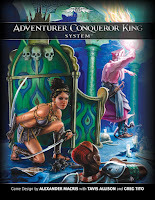 While I don't disagree that some COC adventures use a railroad to push the author's story, quite a few investigations are free-form, scene-to-scene, and can be mapped out as a workflow much like the classic D&D dungeon. My monday Cthulhu posts the past few weeks "Blogthulhu" have been making the case for how to structure an investigative horror game that supports the kind of player agency we enjoy so much when running hex crawls and sandboxes. It can be done, even if many of the published works don't support that style. Have you read any of Pagan Publishing's 20s material? 'Dream Factory' and 'God of the Mountain' are like deserts in comparison. Most of the games I run are somewhat Lovecraftish, since many of the things I'm generally interested in in fantasy—weird monsters, ancient astronauts, real-life versions of spiritualism, occultism and psychic powers, orientalism, et cetera—have significant overlap with 'the mythos.' I'm currently running a Delta Green game, but I've been also kicking around the idea of a CoC sandbox on G+. The Delta Green books are amazing for a modern sandbox, since they just describe organizations and situations. Many of the example scenarios in DG and Countdown are pretty open ended investigations, too. I love the one with the dog head (Dead Letter). 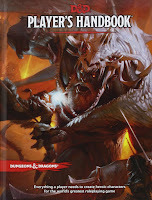 @Kelvin: When I was in college, one of the people in our group who was artistically inclined did a mural-sized blowup of that 5th edition cover image on the wall of our gaming room. Wish we'd thought to take a picture. Good times. As for how I use Cthuloid monsters: I answered "as alien terrors in a horror game" but it was a close call. Both my personal hacks of Rifts and D&D make heavy use of Mythos horrors, but I don't run those games as often as I do CoC. Cthulhu can insinuate it's squamous tentacles into anything.